HOUSTON, TX--(Marketwire - April 24, 2008) - Mathew Knowles' Spirit Rising Music/Music World Entertainment artists, Trin-i-tee 5:7, who performed their hit single, "Listen," live last night on the 39th GMA Dove awards, won two awards for Urban Recorded Song of the Year for "Listen" and Urban Album of the Year for "T57!" "I can't begin to express how proud I am of these three ladies. They are finally getting the respect and acknowledgement they deserve. 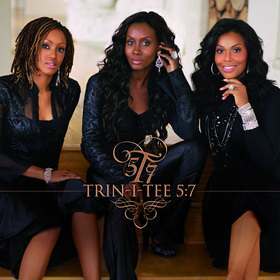 Trin-i-tee 5:7 continue the tradition of Destiny's Child by embodying what a girl group should be. I am very proud to have them on Music World's gospel label, Spirit Rising Music," says Mathew Knowles, President and CEO of Music World Entertainment. For additional information on Trin-i-tee 5:7, including interviews and press kits, contact Chanel Green, Vice President of Publicity, at 323-785-6400 or via e mail at Chanel.Green@musicworldent.com.